The breakfast at hotel wasn’t that good. One of the hotel guests concurred with my thoughts as I overheard their conversation in the elevator on whether to ‘have a look’ at the breakfast spread before checking out. They eventually went straight to the front desk to check out. And my friend and I, on the other hand, walked out of the hotel and headed for this place. It’s just 10 minutes away from the hotel and we walked there without breaking a sweat. I’ve heard and read about this place just before my holiday trip and I guess it’s just fitting that, since it’s nearby to where I stayed, I made a visit on the final day of my trip. I liked the al-fresco seatings as it didn’t feel warm although the weather was pretty hot that day. All thanks to the shade by the big tree and hence, the nickname given. We took our seats and within few minutes, we placed our order with one of the younger looking staff, presumably the stall owner’s kid. 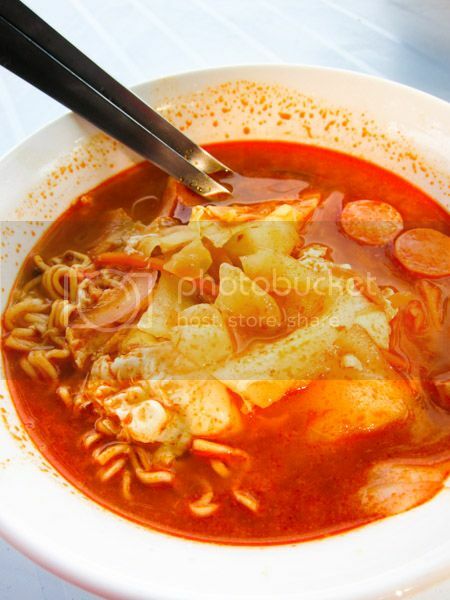 It may sound odd, but we did order a bowl of curry maggi mee for breakfast. It has sliced sausages, carrots, onions, cabbages and an egg in it. Nothing fancy but it was alright since I’ve not eaten one for a very long time. But I still couldn’t stomach the thought of adding a slice of cheese on top of it just yet. We saw customers munching their delicious looking sandwich and we knew we had to order that too. 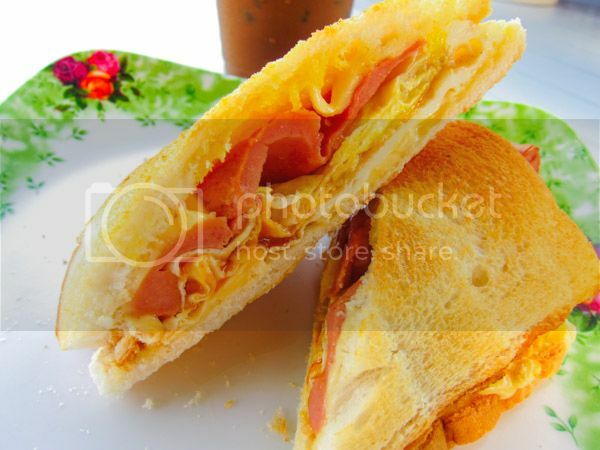 Soon, we learned that it was called Roti Special; a toast sandwich with sausages, cheese and omelette in it. Though it may look simple but boy it was delicious. The light, crispy toast coupled with the savoury fillings and melted cheese made the ordinary sandwich worth something in the menu. The soft boiled eggs on toast with sausages on side was good though you may want to skip the sausages. 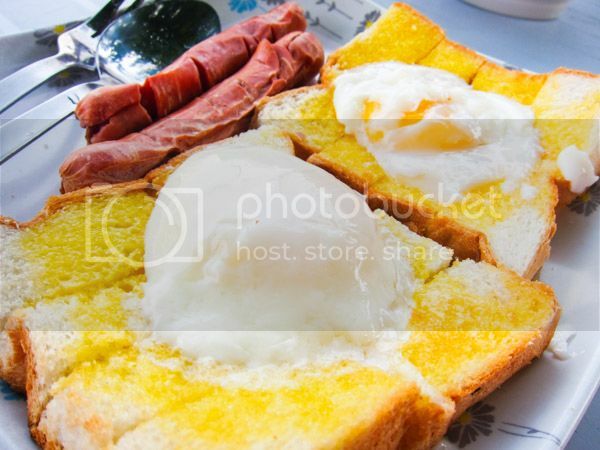 The wobbly eggs was cooked perfectly with the toast was smothered with good amount of salted butter. A dash of soy sauce and pepper, break the runny yolks and wipe them all up with the fluffy, savoury toast. If there’s something I like about coffee shops in Penang like this one is the coffee they serve. 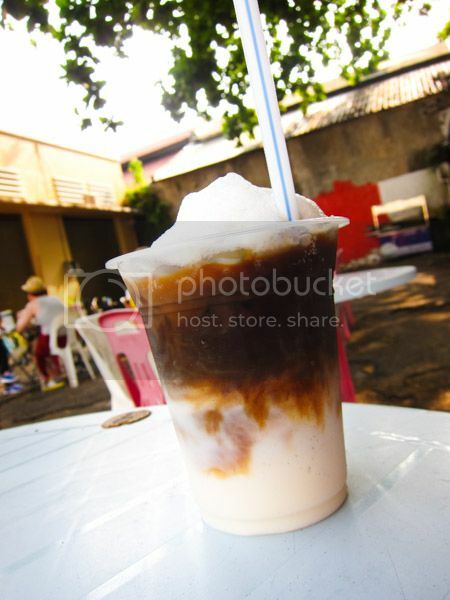 I’d usually go for Kopi Peng (iced coffee) as it is thick and stronger note. 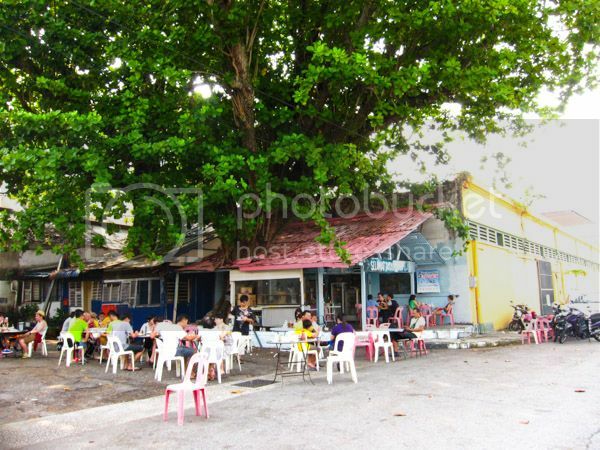 Their’s didn’t failed me either as it was as what I expected it would be like any other places in Penang. The Kopi Peng Special (RM2.20), with foam on top wasn’t really unique, to me at least. The final bill came to about RM21 for everything. It was kinda expensive (the instant noodles and roti special were part of the culprits) but we were pretty satisfied with the meal. Business Hours : 9AM – 5PM (Weekdays) & 9AM – 1PM (Weekends).